Robert Francis | RM & Co. Artist Biography by Andrew Leahey One by One Raised in Los Angeles as the youngest member of a music-filled household, indie folk singer/songwriter Robert Francis benefited from a diverse musical climate thanks to his pianist/producer father, his songwriting sister Juliette Commagere, and his Mexican mother, who sang native ranchera songs around the house. Family friend and acclaimed stringmaster Ry Cooder gave Francis his first guitar at age nine; seven years later, the Red Hot Chili Peppers‘ John Frusciante accepted Francis as his only guitar pupil. 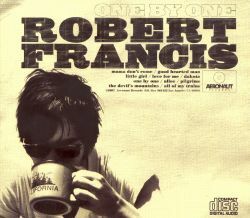 The unique education paid off as Robert Francis released his 2007 debut, the musically diverse One by One, at the young age of 19. One by One was a richly layered album, filled with lush orchestrations and heaps of instruments. It also served as Francis‘ launching pad, netting him a modest audience as well as a major-label contract with Atlantic Records. 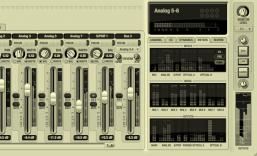 When it came time to record a second album, however, the songwriter chose to scale things back. He assembled a small band and recorded Before Nightfall in one week, with Oasis producer Dave Sardy lending his help to the project.